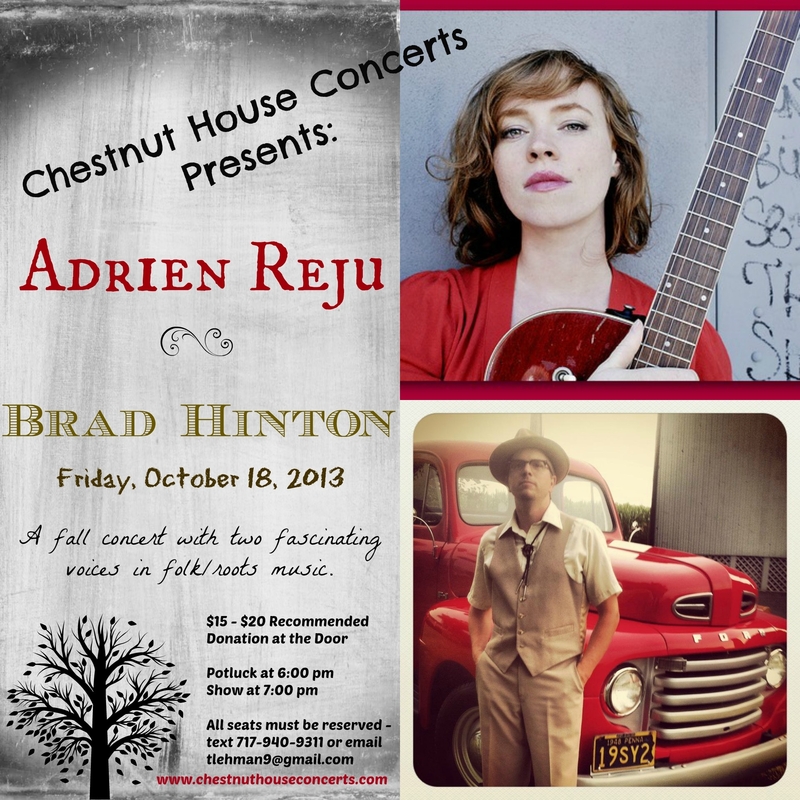 Adrien Reju & Brad Hinton will be at Chestnut House Concerts on Friday, October 18, 2013. Potluck at 6:00 pm, show at 7:00 pm. Save seats by texting 717-940-9311 or send an email to tlehman9@gmail.com. This entry was posted in Upcoming House Concert and tagged Adrien Reju, Brad Hinton, Joy Kills Sorrow, Laney Jones, Mandolin Orange, Mike & Ruthy, The Wiyos by chestnuthouseconcerts. Bookmark the permalink.